Start by browsing Apps or Services. Apps are products that integrate with UltiPro software or processes. Services are our partners that can assist in implementing UltiPro or provide value added consulting. Click the Category options to filter the catalog. The page will refresh with only items from the selected category. Click the logo or View Partner button to see the details of each partner. 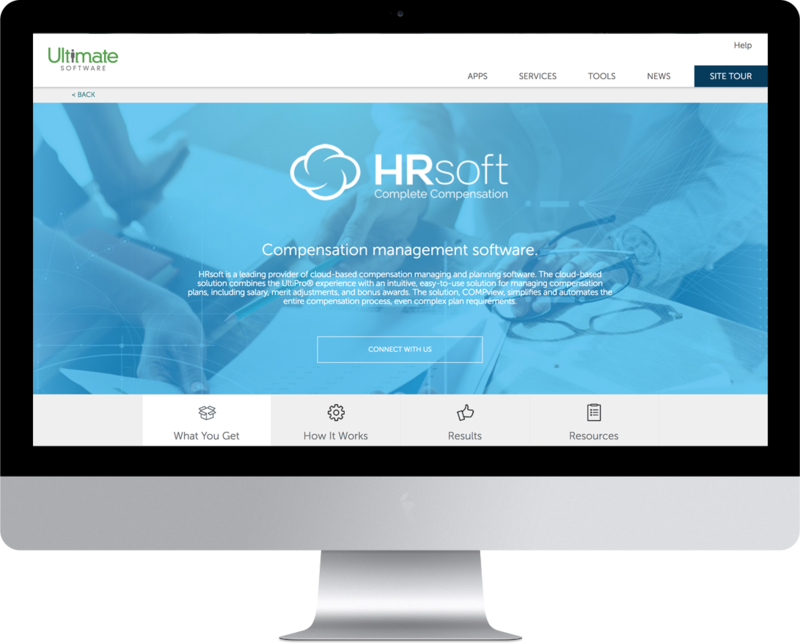 View each partner's page to learn more about their offerings & see how they benefit customers & UltiPro. There are also customer testimonials & helpful links for selected partners to help you choose. 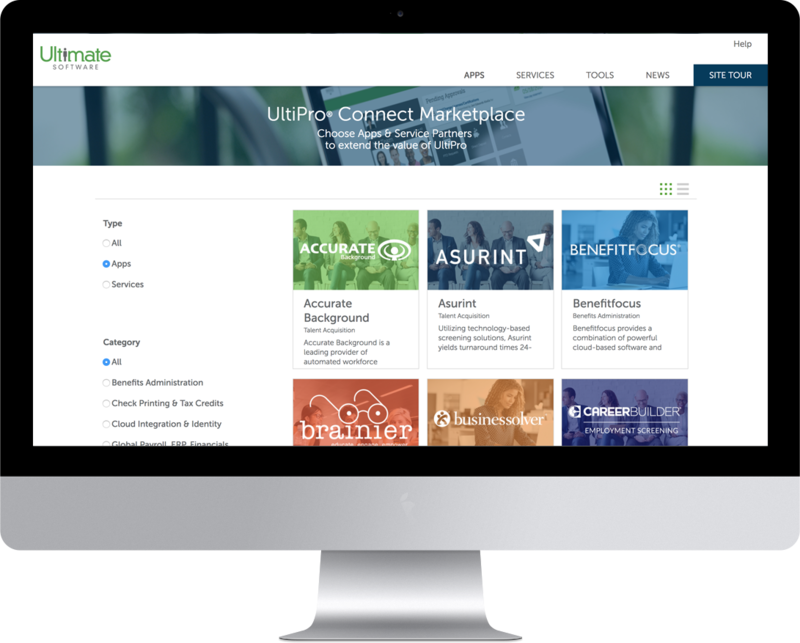 Click CONNECT WITH US to submit online requests for apps or services from the UltiPro Connect Marketplace. Prospects are also able to submit online requests for information to help inform their purchasing decisions. Be sure to check the I'm not a robot box so we know the request isn't a spambot. Once the request has been submitted a Thank You page is displayed to confirm receipt.